If she were here, she would agree. She might now know all it does, but we know it is an important mineral for all of us. It helps our bodies to reduce anxiety and stress, fight osteoporosis, diabetes, inflammation, as well as migraines. Sounds important and it is. Without it, your body would not function as well as you would want it to. So for right now, instead of saying “drink your milk and take your vitamins,” we are going to say take your magnesium. It is not a fascinating subject but you need to understand the necessity. Oddly enough, all of the major and minor minerals are a prerequisite for good health. But for now, we will start with magnesium. Now pay attention and take your magnesium. This mineral magnesium is an important one, being that it is a co-factor for hundreds of enzyme reactions within the body. How Much Magnesium is the Right Amount? The problem is: How do you measure the amount you actually get every day? If your body retains too much magnesium you might experience an irregular heartbeat, low blood pressure, confusion, slowed breathing, coma, and possibly even death. However, this problem is exceedingly rare. Your worry should be what if you do not get enough, not what if you get too much. Your odds of having these terrible symptoms are very low. If you do not get enough magnesium you may have symptoms that include being lethargic and weak. If your levels of are very low for quite some time, you may experience tremors, spasms, muscle cramps and seizures. Consequently, it behooves all of us to take magnesium supplements, just in case. Be aware that in all things too much is not better. Magnesium is used as a laxative, ie. Milk of Magnesium. 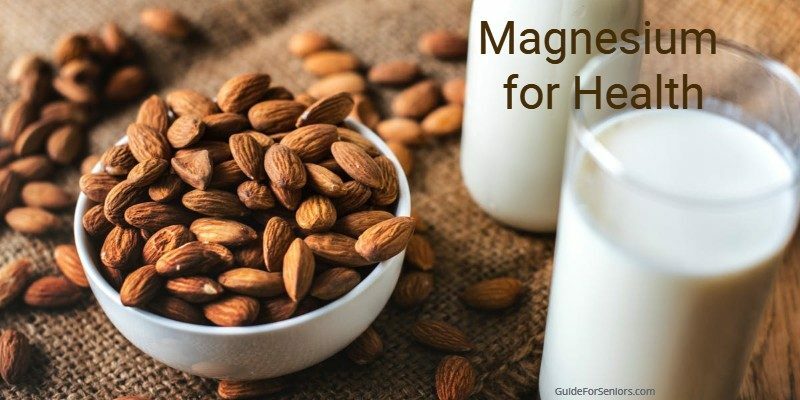 One tablespoon will provide 500 mg of magnesium in the form of magnesium hydroxide. Much of the magnesium in this medication is not absorbed into your body so it is safe to take on occasion. It works by increasing the water content, as well as the volume, of stool as an aid in bowel movements. The mineral is also used as a treatment for heartburn. It reduces the acid in your stomach. Not all acid reducers use magnesium for this problem. Rolaids has the mineral but tums do not. That does not make one better than the other. They just work differently. If you find yourself needing either medication very often, perhaps it is time to talk to your doctor about your problems. It may or may not be something serious. Diabetics, especially those individuals with type 2 diabetes, should be very diligent and get all of their required magnesium. It is just as important to stay on your diet if you are prediabetic as it is to make sure your intake of magnesium is not lower than it should be since it helps to lower blood sugar and a lack of it will increase the risk of getting diabetes. Healthy individuals, as well as diabetic individuals, will excrete excessive magnesium in their urine through the kidneys. However, anyone with renal failure needs to be aware that too much magnesium is definitely not good for them. Those individuals may not be able to excrete excess mineral and it may build up in their bodies. Thus it behooves diabetics to talk to their physician before taking any supplement. It is important to be certain that magnesium will not have an adverse effect on any medications you may be taking. If you have been prescribed tetracyclines, the mineral and the drug can form insoluble compounds. This may occur with other medicines as well. This is a two-edged sword. Magnesium aids your body to fight osteoporosis. But if you are on medications for this problem, the same supplement may be harmful. As with all things, you should be able to get the amounts of needed nutrients from a balanced diet. We know this is often not the case but a good diet can only help your body and your mental status. Supplements are often needed to ensure we get enough of what our bodies need. Magnesium is contained in fruits and vegetables, dark leafy vegetables, nuts, beans, soy and soy products, whole grains, avocados, and milk. It is important to eat the right foods to get all the nutrients you need. The problem arises in that some of the vegetables we eat are not as nutritious as they used to be. Today crops have been “bred” to grow faster and bigger. The foods still contain many nutrients but perhaps not as much as they did in the past. 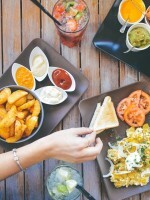 Even when you are eating foods that are good for you, you may not be getting the amount of the nutrients that you need. To be and remain healthy it is important to remember that vitamins and minerals are important to our well being. Take your magnesium supplements for better health. This is not a case of more is better than just a little. Just enough is the right amount. If you want more information: look, listen, and read. Browse the next blog, as we all agreed. Brain MD: Chewable Magnesium Tablets (150 mg) for those who have difficulty swallowing. iHerb: Magnesium chelated tablets containing 200 mg of elemental magnesium.